The inspiration for this year’s theme derived from the stack of (at least 6) books that I’ve purchased throughout 2017 and either never started them or started them and never finished them. Oh, and the countless projects that I’ve started (or planned) and never finished them (or execute them). I’m legit disappointed in myself. It’s long overdue. It would be delusional for me to continue to think that I can accomplish goals when I have a tendency to leave things unfinished. 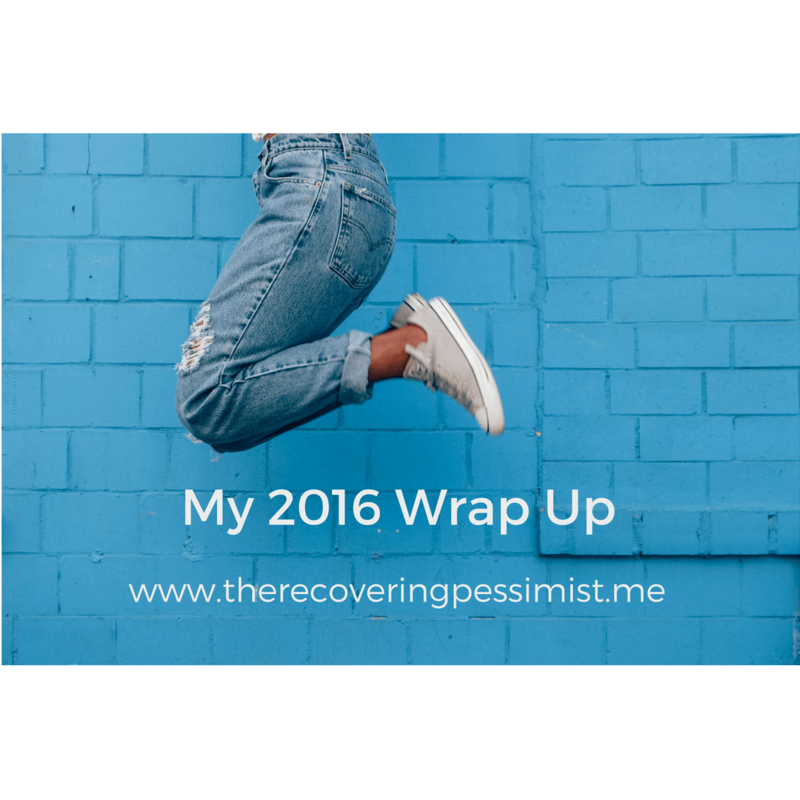 This year, I’m hellbent on starting, finishing, and repeat. No more half-assing. 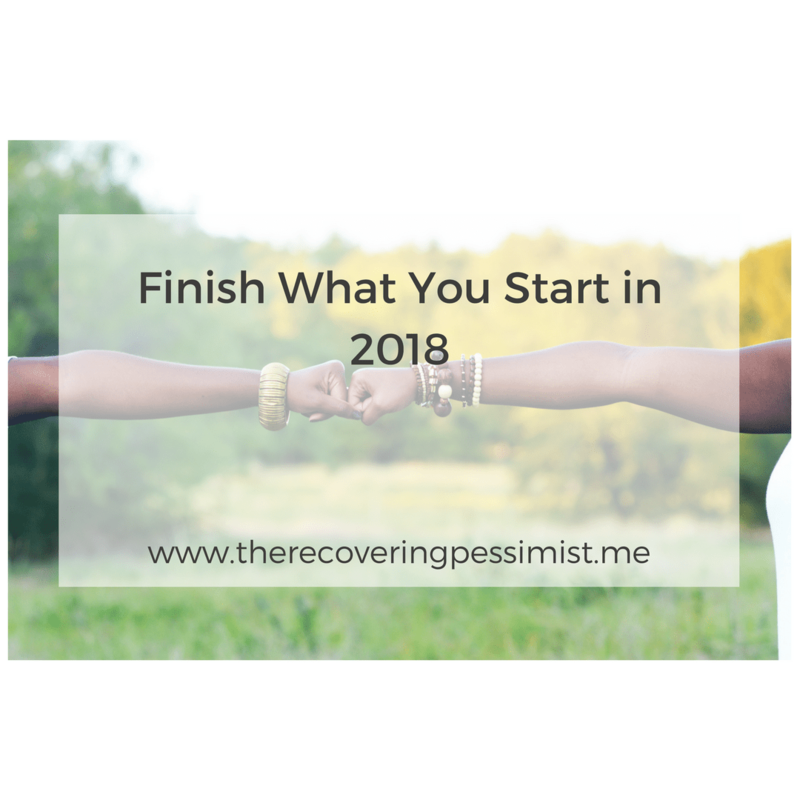 Do you have a theme/mantra for 2018? I would love to hear about it. Writing these annual write-ups is one of my favorite end-of-the-year blog tasks (see here and here for earlier posts). In the past, I’ve broken down the post into sections (personal/blog highlights, top blog posts of the year, etc). I wanted to switch things up for this year. The highlights and memories that I experienced this year were awesome. I also had some lows that would’ve broken me. 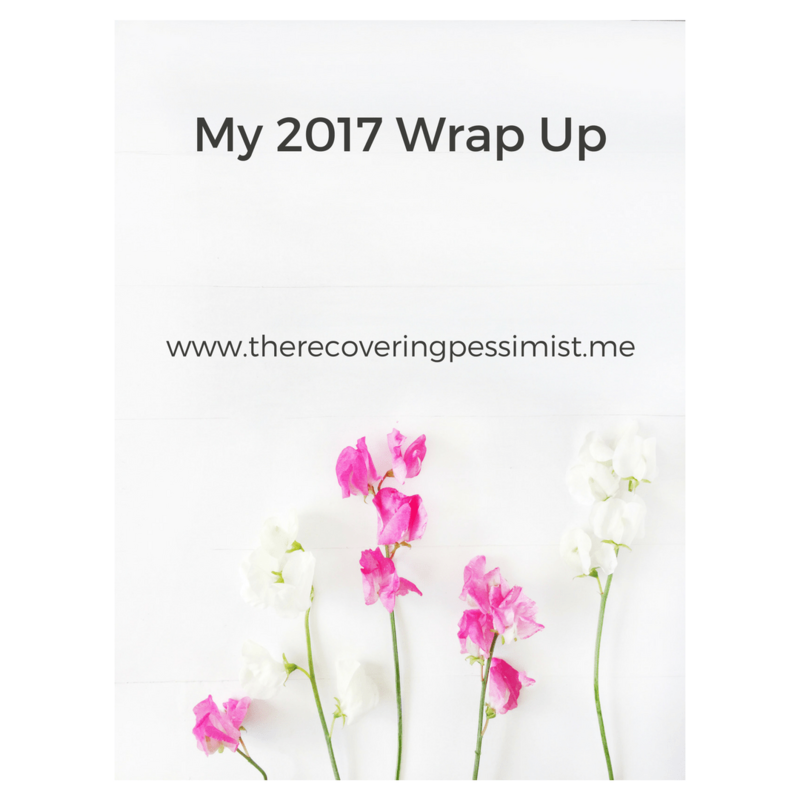 All of that provided me with some valuable lessons that I wanted to share as my annual wrap up for 2017. Do what works for me. Comparison is one of those things that you can get wrapped up in and not realize that it’s happening. I would browse social media and find myself comparing where I was in various areas of my life in regards to others. I found myself looking up tips and signing up for all kinds of newsletters, none of which I needed. Instead of soaking up all of this information, I got overwhelmed. It takes longer to get past overwhelm than it did to get overwhelmed. 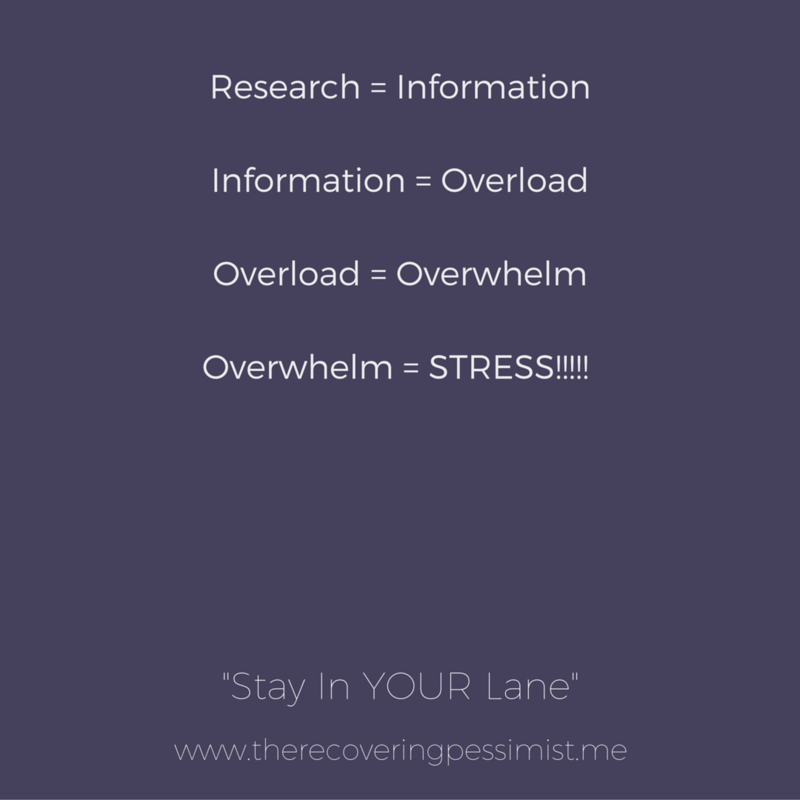 To get past the overwhelm, I needed to get rid of the sources of the overwhelm. I unsubscribed from several newsletters and stopped searching for tips on things that I really didn’t need. I stuck to doing the things that worked for me and refrained from comparing myself to others. I won’t lie, it’s not always easy, but I feel so much better. I have this thing where I get a case of the “what ifs” regarding people of my past. I go through the motions of wondering if things between us could be different. I would reach out, we’d reconnect, and things would be cool for months. Then, things would fall apart again and we would go back to being the past. This year, I didn’t reach out when I felt the urge. Progress. No matter how many times I reach out to my past, sometimes the past needs to stay where it is. I’m a stickler for a routine. When that routine is disrupted, I feel frazzled. I’ve turned down several opportunities because they interfered with my routine. I know how ridiculous that is, but when I decide that I’m doing something at a certain moment of the day, I don’t like to change the plans. However, I realized that this isn’t feasible. I have a routine and when that routine is disrupted, I feel frazzled. It would take days to get back on track. I learned to add some room in the routine so when it gets disrupted, I can pick up where I left off. That allows me to partake in the opportunities that pop up while still having my routine. “No” is not a means to an end. “No” is one of those things that can make or break you. When you want something so badly just to be told you can’t have it for whatever reason, it hurts real bad. Like when someone takes the last cupcake in the display case that you had your eye on in line. Yeah, that bad. I refused to become discouraged and instead allowed “no” to motivate me to find alternate means to get what I want. The difference between 'no' and 'yes' is persistence. It’s been a hell of a year, FULL of ups and downs. But as the elders say, if you aren’t learning, you aren’t living. 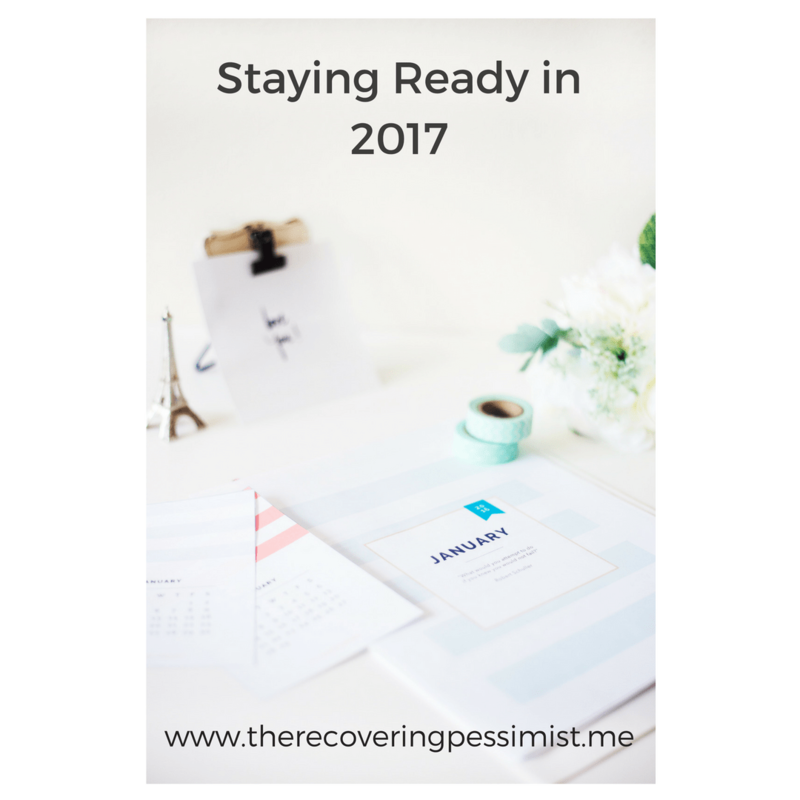 I love writing about my preparation process for the upcoming year. Many of the things in this year’s post were mentioned in last year’s post. If it ain’t broke, don’t fix it right? Without further adieu, let’s begin, shall we? Having a theme really sets the tone for how I approach the upcoming year. Throughout the year I’ve repeated the same phrase over and over as a reminder to myself and friends when life threw us a curve ball. Then I had a lightbulb moment. I could make this phrase my theme for 2017 (I”ll disclose the theme in a later post). One less thing for me to work on. Yay! I created my first vision board last year after hearing folks talk about how vision boards helped them with the manifestation of their goals, aspirations, etc. They were spot on. Many of the things I posted on my vision board actually happened. This year, I want to take things up a notch with my vision board. I want to take a photo of my vision board, print the photo, and put the photo on the inside cover of my Inkwell Press liveWELL planner. That way, I can keep my vision board with me and stay on task. Genius! This year, I finally decided to create an editorial calendar using Google Sheets. I have a place to keep track of all the blog posts (and their permalinks) I’ve written for the year broken down by month. Planning blog posts that are part of a series (e.g., Back to Center, Wisdom Wednesday, etc.) is way easier for me. If you don’t already have some sort of content calendar in place, get one and save yourself the stress. Each year, I have major goals that I want to accomplish. Last year, I used MindMeister to create a visual for all of my goals. It was really pretty to look at, but it wasn’t effective. I also made goal cards for my major goals, which worked initially. However, I stopped looking at them regularly, so that ended up not being too effective. The whole point of making goals is to accomplish them right? This year, I decided to keep track of my goals using my 2017 Inkwell Press liveWELL planner. This weekly planner has a lot of areas throughout the planner to keep track of my goals on a yearly and monthly basis. And since I look at my planner several times a day, housing my goals in the planner would be a win-win situation for me. That’s my planning process for 2017. 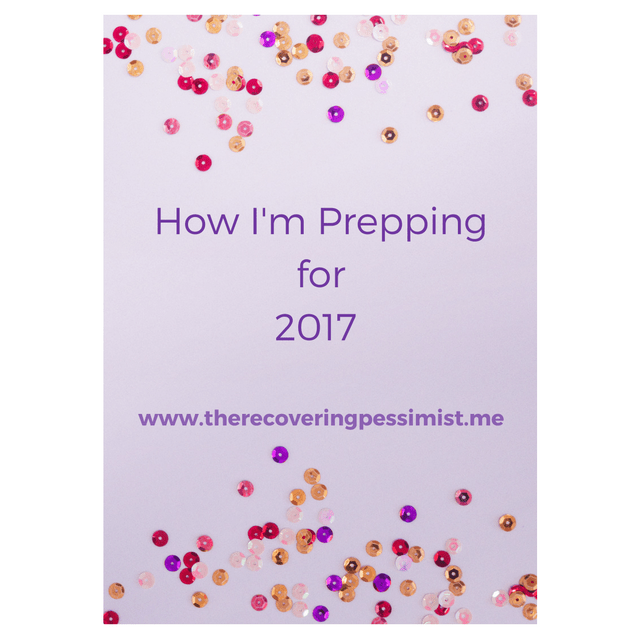 Tell me, do you plan for the upcoming year? If so, what’s your process? I’d love to hear about it. Anyway, I wanted to share my favorite Pinterest accounts for bloggers. All of these accounts are included on my Blogging Tips Pinterest board. I was researching how to name the images I created and used in my blog posts on Pinterest. In the search results, was Ali’s pin entitled “The One Thing You Must Do To Every Image Uploaded To Your Blog“. Talk about being a lifesaver. Not only does her Pinterest page make me hungry, but the Pinterest board for her blog Gimme Some Oven has plenty of blogging-related gems on it. Definitely worth checking out. My admiration for Regina is no secret (I’ve mentioned her here, here, and here). I’ve been a fan of hers for years and she’s never steered me wrong. Her Pinterest page is a treasure chest of awesomeness. My favorite boards of hers are Blog Tips Galore, Blog Tips, and For the Infopreneurs. I learned about Olyvia when I ran across her “91+ Blog Posts To Make You A Better Blogger + Business Owner” blog post on Pinterest. My favorite boards on Olyvia’s Pinterest page are Olyvia.co, Blog + Website Tips, and E-book Creation. 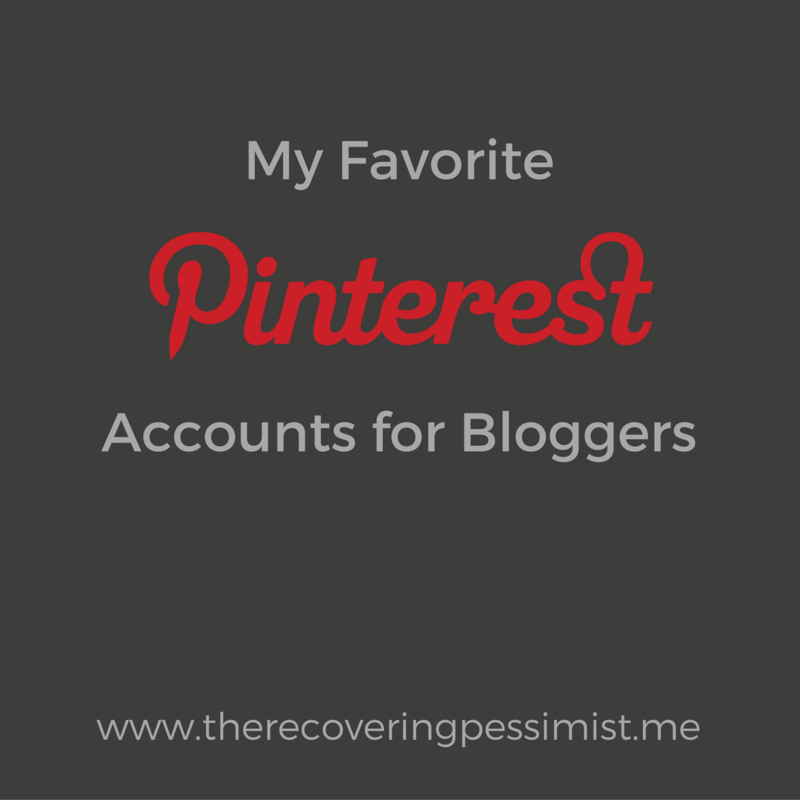 Melyssa’s pins appeared on my Pinterest timeline after doing research on blogging tips. Her Pinterest page is a big resource for me, along with other bloggers and entrepreneurs. My favorite boards on Melyssa’s page include MelyssaGriffin.com, Blogging + Bloggers, and Entrepreneur + Business. I hope you find these Pinterest accounts just as useful as I do. Do you have any favorite Pinterest accounts for bloggers? Feel free to share them in the comments or contact me on social media. I’d love to hear about them. Blogging is pretty awesome. I get to talk about the things I want to talk about in hopes that somebody will learn from my mistakes and/or experiences. But that’s only one end of the blogging spectrum. On the other end, blogging can be overwhelming. With so much information accessible from multiple sources, you may not know how to apply it. Or, you may be unsure if you should even apply it. Being able to make money from your blog is awesome. The internet is full of sources for you to learn how to make x amount of dollars from your blog. It’s also misleading. Rarely did I read/watch a blogger be truly honest with how they made x amount of money in such as short amount of time. Regina blew the lid off of that mystery by writing an awesome blog post about avoiding getting caught up in the six figure blogger gang. Just because it sounds good, doesn’t mean it’s good for you. Don’t just take the information you read and/or hear at face value. Question it. How does this apply to you? Can you afford the good/service? If not, can you find an inexpensive way to get the good/service? A few months ago, I looked at my email inbox and I kid you not, I had at least 14 emails from different newsletters I was subscribed to. Mind you those emails were from one day. Of those 14 maybe three or four were of actual use to me. Most of them I subscribed to in order to get a freebie and then had no use for the newsletter afterwards. My inbox and I deserve so much better. So I finally went through them and deleted all but maybe four or five. I don’t sigh and roll my eyes anymore when I look at my inbox now. I hope you find these tips useful. If you’ve suffered from blogger overwhelm, how did you get through it, I would love to hear about it. Blogging while working a 9-5 is difficult enough. There are things I must have to blog successfully, such as a decompression period, to keep me sane (click here and here). I’m usually pretty good at multitasking. However, I can’t multitask when it comes to blogging. I waste too much time doing blog-related tasks if I’m watching TV and/or doing other things on the laptop. To avoid wasting time, I turn on the TV or at least mute it. If I’m working away from home, I wear headphones to block out the sounds around me. I like to listen to music while I write. I’m a sucker for piano instrumentals. My favorite Spotify playlists are Piano Chill, Piano Moods, The Piano Bar, and Peaceful Piano. These playlists help me focus on the task at hand and makes the creative process smooth. In addition to having all my blogging tools at hand (click here and here), having snacks and beverages on hand is just as important. Fruits like cherries, apples, and bananas are my favorite snacks to have on hand. When it comes to alcohol, sweet red wine is my favorite. These are a few of the things that help me set the scene to blog. 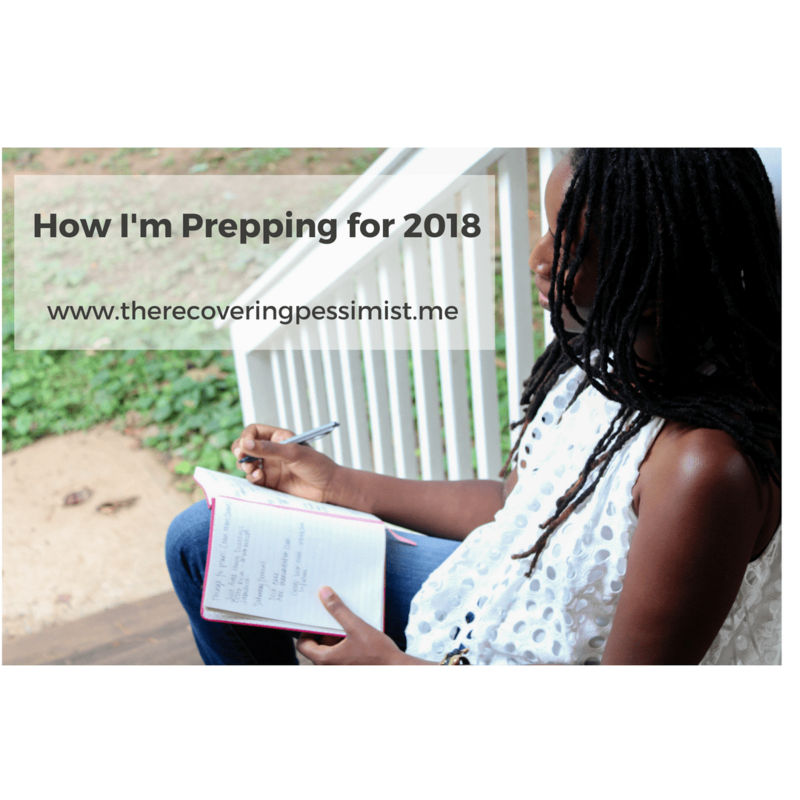 If you’re a blogger and/or writer, how do you get yourself mentally prepared to write? How to you set the scene? I’d love to hear about it.